We are pleased to announce a significant step forward in the development of the MACO Door & Window Hardware (UK) Ltd business. Since early 2009, we have been operating in the UK under the guidance of Mr Roland Schmidt as Western European Sales Director / UK Managing Director, with the UK based team including Sales & Marketing under Andy Omand, Product Service Innovation under Craig Bryant, Operations under Kevin Whiting and Finance now with Diane Kilbey. The challenges ahead demand local direction and leadership, and with this in mind it gives us great pleasure to inform you that as from January 1st 2012, Kevin Whiting will take over as the UK Managing Director. 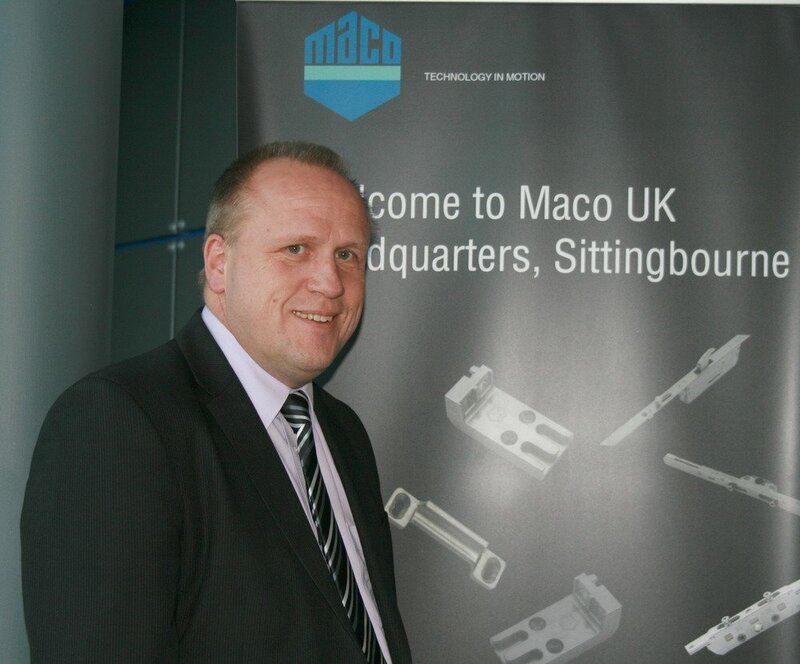 Kevin joined in April 2009 as Operations Manager, a member of the UK senior management team heavily involved in development of the market and sales strategy, and leading the transformation of MACO UK into the modern and high performance hardware sales company as it stands today. – Improvement of customer orientation, (employees, structures, processes, systems). – Optimisation of the internal organisation. – Increasing process efficiency, both internally and externally across the value chain. – Development and introduction of innovative logistics services. Originating from outside of the window and door hardware industry, Kevin brought a wealth of knowledge from sales, distribution and manufacturing companies within global electronics and pharmaceutical businesses.